It’s O.K. to complain about the demands of faith. But how you vent matters. When I was new to natural family planning and struggling hard, I looked everywhere for useful information. I more or less knew how to chart, but I needed to know how to live. How to get through long stretches of abstinence, how to think about our life so it made sense, how to talk to my husband when we didn’t understand each other, how to talk to God when I didn’t understand him. I did not have any real-life friends who used N.F.P. Our marriage preparation on the topic amounted to, “Wow, you’ve actually heard of N.F.P.? Here is your trophy!” My OB/GYN would just sigh and exchange exasperated glances with the nurse, who could have hooked me up with contraception within an hour. They could not wrap their minds around the idea that I was not willing to shuck off my faith when it became impractical or even painful. I needed a place where I could complain bitterly to people who would understand exactly where I was coming from. I needed, in short, a place to vent. I needed a place where my venting was safe because it would be seen for what it was: a normal human response to suffering. And more than that, I needed a place where my venting was safe because it would be seen for what it was: a normal human response to suffering. Not a sign that I had discovered a logical flaw that thousands of theologians had overlooked. Not a sign that it was time to change religions. Not a sign that the cross is sometimes optional. 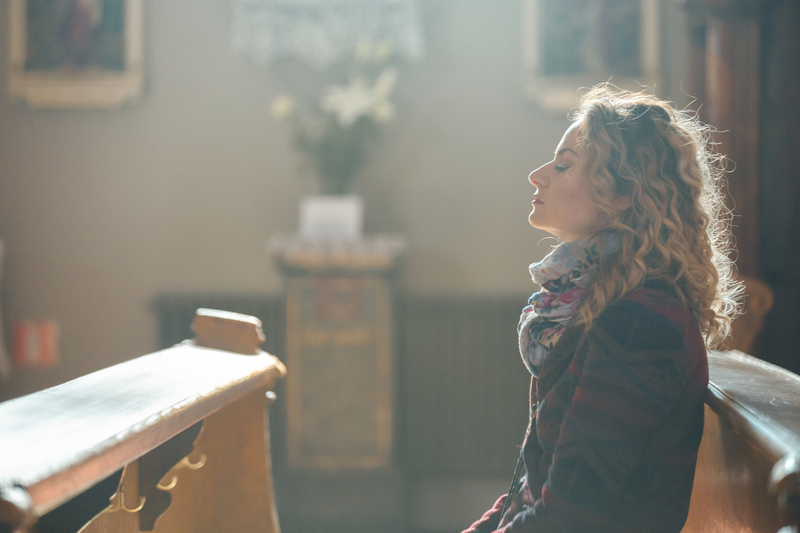 Thanks be to God, I came across an online group of Catholics who were dedicated to trying to be faithful to the church but who felt free to talk about what living the faith is really like. They embraced Catholic sexual teaching and talked about the benefits and boons but also about the struggles, the fears, the frustrations and the crushing distress of feeling like you have to choose between your spouse and your God. And they encouraged each other, commiserated, shared advice, pointed out flaws in thinking, laughed together, wept together and, thousands and millions of times, they prayed together. I could vent there and did, and I was heard, understood and encouraged in this sometimes dreadful path toward what I hope is holiness. It was safe to vent there because the sad and bitter and ugly things we wanted to vent had a place to go. Venting is good. Venting is sometimes lifesaving. But it matters where you vent and why. It is now fairly easy to find other groups online who will supply any kind of community you desire. I am grateful that in my darkest times I did not end up in a group of Catholics who would tell me, “A loving God won’t expect us to suffer more than we feel ready to suffer.” I did not stumble into a group that sneered at faithful people, implying that it is easy to avoid sin as long as you are dull and lifeless. And I did not stumble into a group that thought of itself as open and broad-minded but limited itself to the cramped perspective of purely human desires. Instead, I stumbled into a group that returned, again and again, to the cross. We may have raged at the cross, argued with it, shook our fists at it, groused at it, pled for it to go away—but we never denied that it was central to our lives as Catholics. This was an authentically Catholic group: thoroughly honest, thoroughly compassionate, thoroughly faithful. This is the most Catholic of traits: to acknowledge fully what it is to be human and to respect that humanity but at the same time to recognize that mere humanity is fatally lacking. Freedom to vent becomes foulness if that venting does not have an outlet, a place where the walls open up to heaven. Fidelity purifies. Freedom to vent becomes foulness if that venting does not have an outlet and opening, a place where the walls open up to heaven. This is what love does: It purifies. And love is inextricably linked to the cross. We underestimate just how much our peers affect us. Social media, for all its benefits, has made it all too easy to find a group of people who will take your lowest impulses and hoist them on high, praising and burnishing them until they look like something fine and heroic. As you form relationships in the group and come to know and trust your new friends, and as the group rewards each other for holding fast to its ideals, the thing that used to make you feel a little uneasy about yourself slowly becomes your identity, the thing that fills you with pride. The cross is the great purifier. Set it up in the center of your life, and see what it does to the air you breathe. I have spotted this process in my own life more than once, and I have had to leave more than one enjoyable group because of it. I thought Good Catholics didn't need therapy. Then I went. What groups are you in? What is the group’s main purpose—not necessarily its stated purpose but its actual one? What kind of behavior gets rewarded, and what happens when you vent? What do you consistently learn over time from being in the group and having conversations there? Are you ever challenged in your thinking, or do you get only affirmation? Are you ever aware of changing what you say or do or think, not because it is objectively right or wrong but because you know the group would not approve? Do you find yourself more and more contemptuous of people who are not in the group? Does the group feed off of mocking and deriding outsiders? Does the group regularly expel members for not marching in lockstep? If you have answered “yes” to any questions in the paragraph above, it is probably not a healthy place to be, especially if it has anything to do with your faith. A healthy group allows honest venting but also recognizes venting for what it is: a transitory thing, useful for emotional relief. But it is not healthy if we wish to breathe clean air. If you vent into a closed room, then what you vent will simply hang around, and that is how the mold sets in. This is great! It’s so important to continually question one’s motivations for sticking with any group, internet based or otherwise. A Poor Clare nun once wisely instructed me to avoid any social milieu that only made me comfortable and didn’t seem to inspire any spiritual growth or reflection. Finding friends that will care and listen to your crosses but also encourage, even help you to persevere as you carry them, is the closest thing to finding Christ-like love amongst us mere mortals you can get. My wife and myself were not fully agreed that family planning in any way, shape of form was righteous and I was the one most against it, possibly as I was the eldest of eight children from a faithful Catholic mother of quite limited means and in difficult circumstances. My wife was the baby of a family with two older brothers raised as a Presbyterian Scot and coming over to Rome through the charismatic love radiated by Good Pope John when she was a Uni student. She never saw herself as ever being a mother. We are both medical doctors, top level specialists in education and experienced in our fields. We both know human reproductive physiology to expert levels. Although adhering to all the necessary activities and communications, we have six children. Looks like Almighty God actually wanted your ten and our six despite our limited vision. I guess you, like we, would never want to rid ourselves of a single one of our beloved offspring. What’s wrong with celebrating sin in public? Advent might be a time for silence—but don’t get too comfortable.